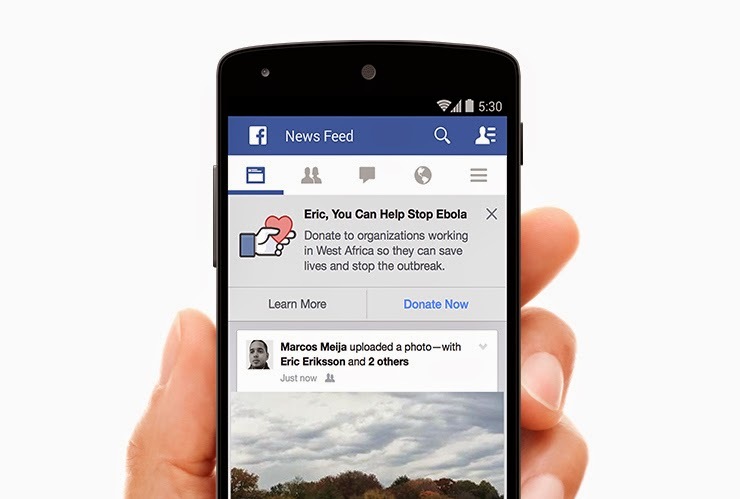 You can help in the fight against the Ebola virus by donating with Facebook. Over 13 000 cases of this deadly disease are registered around the world. The most of it are in West Africa. The normal life in this places have been changed. Visit the special Facebook page Fight Ebola to learn more and donate. 1. Internet connectivity in Liberia, Sierra Leone and Guinea to connect aid and medical workers. 2. In partnerhip with UNICEF, Facebook will share information about how to prevent, detect and treat Ebola. 3. Some of the non-profit organisations will be highlighted on Facebook. How Facebook will improve communications in this Africa counties? They work together with NetHope, a consortium of leading international organisations and are donationg 100 mobile satellite terminals. This communication satellites provides data and voice for medical and aid workers.